Editor’s Note: This post comes from Nicoleta Caragea, uRos2017 conference organizer. uRos2017 is a conference held in November 2017 for collaboration around the use of R in Romania. Through the RUGS program, R Consortium was honored to be a sponsor for this event. If you have an smaller event you would like support for, stay tuned for the official program announcement in early 2018. The International Conference New Challenges for Statistical Software – The Use of R in Official Statistics – uRos2017, the fifth in a series of events, organized at Romanian NIS dedicated to the use of R Project in Romania, was held between 6-7 of November 2017. 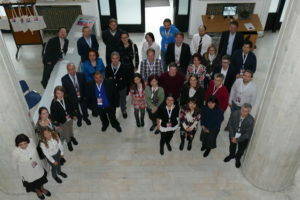 The conference, which provides a public forum for researchers from academia and institutes of statistics, brought together over 60 participants from 20 countries (Austria, Canada, Columbia, Croatia, France, Deutschland, Italy, Irak, Japan, Lithuania, Luxembourg, Morocco, Netherlands, Norway, Poland, Romania, Spain, Switzerland and Turkey). 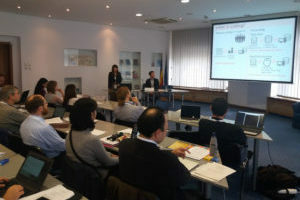 Moreover, representatives from Eurostat and other international organizations (United Nations/UNIDO and FAO) attended as guests. Not only was uRos2017 an opportunity to develop new ideas and cooperation in the field of official statistics, the event once again demonstrated the significant role played by National Institute of Statistics in the official statistics and gives Romania a prominent spot on the map of useRs. 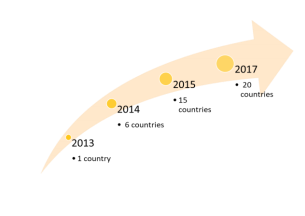 Throughout the five editions of the event, the international participation has increased exponentially. 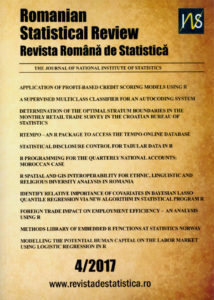 The proceedings of the conference, which took place in parallel sections and included 22 presentations and 8 thematic workshops, will be published in two issues of Romanian Statistical Review: no. 4/2017 and no. 1/2018. The first one has already been published and handed to the participants during the conference, and the second one will be released in March 2018. A novelty of this year’s edition is that the conference joined with “International Conference On Computing, Mathematics And Statistics 2017” (iCMS2017), held in Langkawi Island, Malaysia. Nicolaas Jan Dirk Nagelkerke, Matthias Templ and Martin Everett delivered keynote talks at uRos2017 Asia Pacific/iCMS2017. You can find more information about uRos2017 at the conference website. The R-omanian team, has agreed to organize uRos2018 together with our colleagues from CBS-Netherlands. Keep in contact on: https://twitter.com/uRos2018.